It is our aim at Natural Beauty to create a calm, friendly environment whilst providing the highest standard of care and professionalism with our treatments. We pride ourselves in our team work within the salon making you feel welcome from the moment you walk through the door. We offer a wide range of treatments and use Decleor skin care products for our facials and Jessica nail care for all hand and foot treatments. Loyalty Tag Points, are accrued every time you visit and can be redeemed for a FREE treatment of your choice. Gift vouchers can be purchased online, over the phone and posted to your door, or pop into the salon. All vouchers are valid for one year and are a perfect gift. Appointments can be booked online using our booking system, over the phone or in the salon. Great facial with the Natural Beauty girls cannot thank you enough totally amazing and such a lovely salon in a lovely area. Just got back from a surprise 'Decleor Radiant Mum to Be' treatment with Debbie ... was literally 90 minutes of pure heaven! 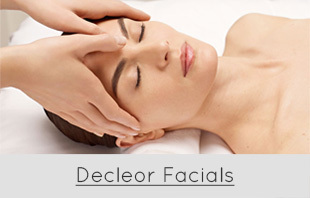 I had an excellent Aromablend Massage by Debbie and my skin looked great after the Decleor Facial !! Had a perfect pedicure. Welcome lovely, nice and smiling staff, atmosphere very relaxing. Easy to book appointments online! Will be back! I had eyelash extensions for the first time, absolutely delighted, as they have given the effect that I wanted. Aimee was lovely, very gentle and professional throughout. Super friendly service that I would recommend. 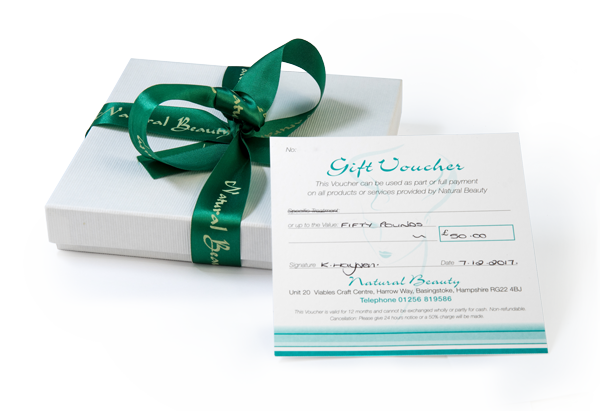 Vouchers can be purchased online, over the phone or in the salon and are a perfect gift.